Welcome back to Make + Create – the podcast dedicated to empowerment in the creative and business space. For this last season, I’ve been focusing on women who are doing things differently and aren’t afraid to take risks. Women who are unabashedly themselves, and who are open to sharing the good, bad and ugly parts of running their own business. 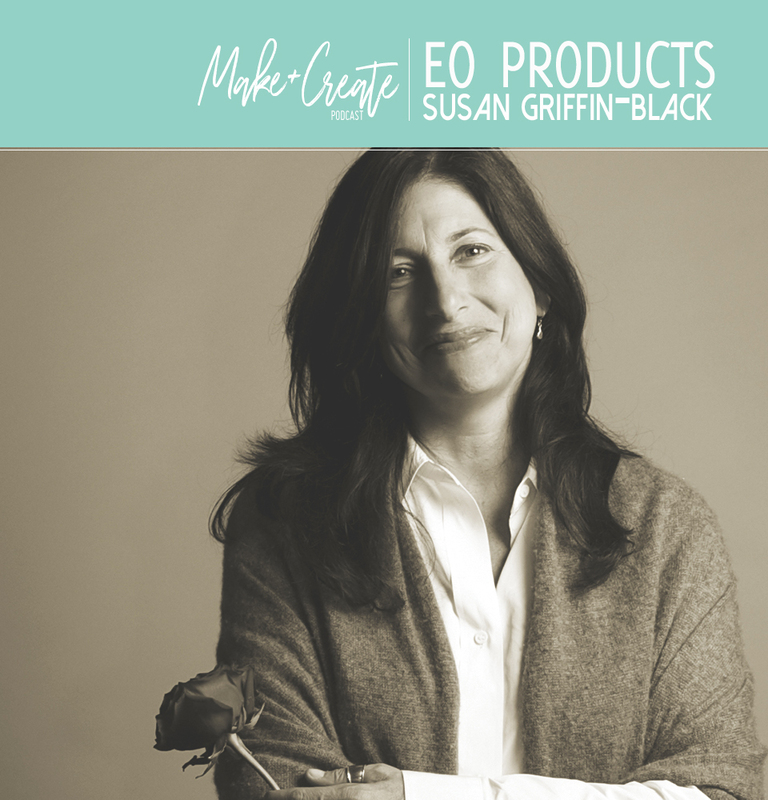 This episode I speak with Susan Griffin-Black – the CEO of EO Products. If you are someone who cares about what is in your home and bath products, then you’ve likely used EO. Susan and her ex husband brand founded the company in the 90s, when they were asked to create five essential oils blends for Bloomingdale’s holiday gift guide. In a garage on Potrero Hill in San Francisco, Susan and Brad began the creative process that would evolve over the next twenty years into hundreds of products researched, developed, manufactured, and shipped from their 56,000 sq. ft. facility in Marin County, CA to millions of people across the world. Susan began her career in the fashion world working for major industry players before launching EO with Brad. We talked about her journey building the brand from concept to what it is today. Like most pioneers, Susan and Brad didn’t set out to change the world. They just wanted to do business the way they thought it should be done. When they were mixing batches of soap in their three gallon stock pot, they weren’t thinking about being pioneers in the cosmetics industry. But, that’s exactly where their ideals would take them. They’ve worked to create products that kept in mind what was put into them. They’re transparent with their customers about what they use to make their products. In 2004, they became a certified organic manufacturer. They were certified by the California of Certified Organic Farmers (CCOF). Since there are no certifications in the personal care or cosmetics industry for organic ingredients, they chose to follow the guidelines for food. In 2011, they became the first personal care company to be certified non-GMO by the Non-GMO Verified Project. Since there are still no regulations on cosmetics or personal care items when it comes to certification of ingredients, they once again sought and obtained the certification used for food. She truly uses business as a force for good. Throughout the episode I talked with Susan about innovation, being a working mother, the evolution of the company as it worked to scale production, her thoughts on organics and the innovations taking place in the beauty industry today. She was also open about speaking on the topic of working alongside her ex-husband and what it is like making that business partnership work. She shares insights on women in the world of entrepreneurship and offers advice to those looking to launch their own company. If you are someone interested in the beauty industry, the evolution of organics and what it takes to build a brand from scratch, then keep listening for the full interview. Thanks for listening. Susan has such an empowering story. If you want to learn more about her and check out EO = visit them online at: http://www.eoproducts.com. Her journey showcases that it is important to live and breathe your brand ideals. She and brad wanted to work the way they lived: inspired, healthy, in touch with nature and generous. Their commitment to transparency and organics has been there from the start and they created something that they would have their own family to use and in turn they’ve reaped the rewards of that – not only empowering themselves, but those they employ and even making a difference in their communities and industry. Her story reminds me of a beautiful quote from the book: 12 keys to success for misfits, weirdos * introverts – a practical and spiritual guide to understanding your place in the world. And it goes, “The truer you are to yourself, the greater your gifts will manifest themselves.” With that being said, this week I ask you to be true to yourself. Be gloriously you and take all that comes with that, the good and bad. But what you will find is that there is no one more you than you and when you are not afraid to be the real you, there is a beautiful freedom that comes with that. I hope you are enjoying the show, If you are inspired and enjoy the episodes take some time to subscribe to make and create. You can find the show on 10 platforms now – itunes, google, radio public and more. You can find a new episode live every 2 weeks. 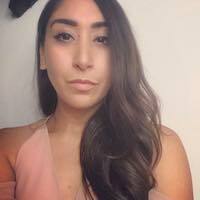 Til next time, I am your host, Jen Veguilla – Lezan – Thanks for listening!